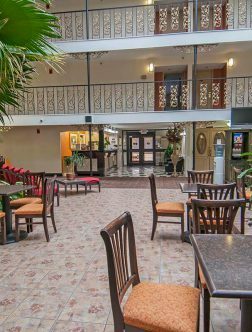 Governor’s Suites Hotel is conveniently located just outside the bustling downtown center of Oklahoma City and minutes from the Will Rogers World Airport. 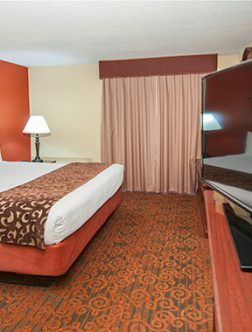 Each of our suites is appointed with amenities that will make your stay a comfortable one. Begin each day with a workout in our exercise room and then join us for our free hot buffet breakfast before heading off to meetings or your sightseeing adventures. I really enjoyed my stay! They have a large breakfast selection! 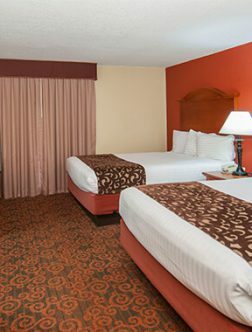 The rooms are very clean and spacious with a very large bathroom! The fridge is above average size and the freezer is separate! The lobby is extremely relaxing! Very reasonabley prices as well! I would suggest this hotel to anyone of any taste! I travel frequently and am used to paying twice as much for lesser rooms. This place is clean, quite, spacious, convenient, has all the amenities plus great "New Orleans" charm. The staff is not just helpful, they were funny and charming. If you are going to be in OKC, stay here. The room was huge. 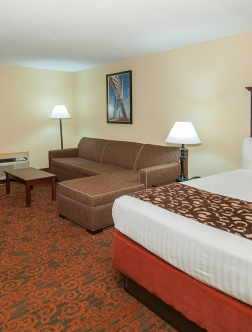 Plenty of space and furniture for working as well as relaxing complete with a king size bed and a large couch. Cable tv had all the channels you could want. They also have a hot breakfast every morning. Very convenient to many restaurants as well. I will stay again next time I am in Oklahoma City. 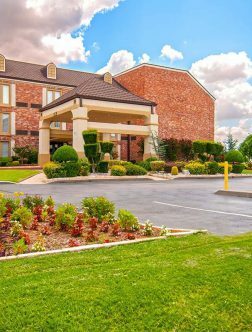 Governor's Suites Hotel Will Rogers Airport Area is one of the best budget hotels in Oklahoma. 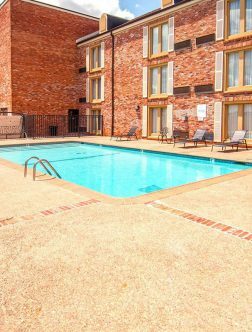 Conveniently located just outside the bustling downtown center of Oklahoma City and minutes from the Will Rogers World Airport. 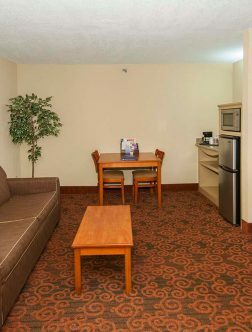 Each of our suites is appointed with amenities that will make your stay a comfortable one. Begin each day with a workout in our exercise room and then join us for our free hot buffet breakfast before heading off to meetings or your sightseeing adventures. 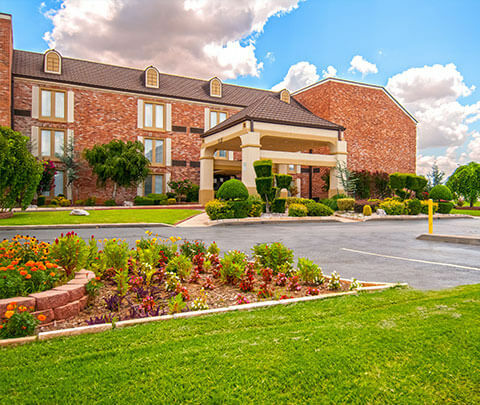 Governors Suites Hotel 2019. All Right Reserved.